JUNEAU — After a Christmas in Girdwood, Alaska’s senior U.S. senator is ready to get up the mountain and go skiing. When she returns to Washington, D.C., she and the rest of Congress will have another mountain to climb as they search for an end to the ongoing partial shutdown of the federal government. In an interview Thursday morning with the Daily News, Murkowski said she doesn’t know how or when the shutdown will end. You can find a condensed and edited version of the interview below. ADN: When will the shutdown end? Murkowski: That is the real question here, because there is no clear end in sight right now, which is, in my view, very unfortunate. I have said for a long time that there’s never a good reason for a government shutdown at any point in time. There is nobody in Washington, D.C., right now that is negotiating. We have to have something that the House and Senate can agree to and that the president will sign. We have not been able to come to terms and come to agreement on that. ADN: Will the start of the new Congress change the equation and offer an opportunity to end the shutdown? Murkowski: I have said that every day that takes us closer to the new Congress with a Democratic majority gives the president less leverage. I think when the new Congress convenes and if I’m Nancy Pelosi, I’ll send on a yearlong (fiscal year) CR (Continuing Resolution) to open up the government, and I’m going to say this is how we get back to work. ADN: What have you heard from people about the shutdown? It seems a lot quieter than past shutdowns. Murkowski: It is much quieter, and it is so for several reasons. We funded about 75 percent of the discretionary budget (meaning this is a partial shutdown). I think another part of it is that it fell on this Christmas holiday, and you had two federal holidays that everyone anticipated that the government would not be open. People are out and about, still spending family time together. ... It hasn’t really impacted folks yet. The ones who are impacted in a very direct way are those who work for contractors for the federal government. Neither of those individuals will receive back pay. Neither of them can report to work. And so, they are completely out, and there hasn’t been a lot of discussion about (contractors), and yet for those of us in Alaska, there’s a lot in the contractor field. ADN: Did you feel that earthquake this morning? Is FEMA still working on recovery issues? 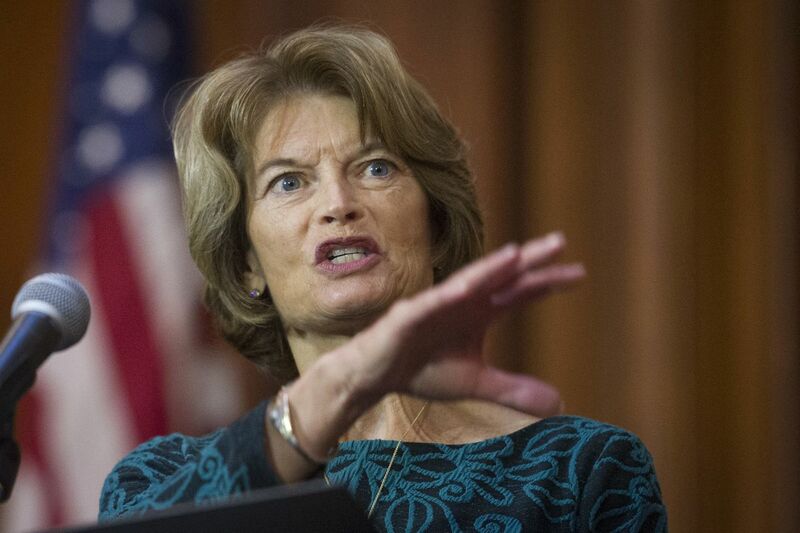 Murkowski: Yes. They and everybody with FEMA is deemed essential, and that is something people have been asking me. ADN: When one of our reporters called FEMA’s Anchorage offices, they heard a voicemail message saying FEMA has been affected by the shutdown, and the message directed them to the state. ADN: This shutdown hinges on border security funding, funding for the wall — what’s your position? Murkowski: It is clear that as a nation, we want to have good, strong border security. And you want to have border security … you want it on your southern border, you want it on your northern border, anywhere you share a common line. No, you can’t do that. We have a northern border that needs to be protected, and that’s what that asset is intended to do. It’s kind of like a northern, floating wall. It’s an effort to make sure we have border security up there. There are areas where it is absolutely appropriate to have some sort of structure. There are parts of this border that are wild and the topography does not lend itself to a wall, so use other methodologies to ensure that we’ve got a strong border. ADN: Where do you stand on funding? Murkowski: (President Trump) asked for $1.6 billion for border security. That was the president’s budget request at the beginning of this (budget) conference. So we looked at it, and we gave him what he asked for, which was $1.6 billion. We gave the president what he asked for in his budget request, and now he says that’s not enough. We want $5 billion. Where’s the rationale for change in request? They did not submit a budget supplement to that. The president just said, one day, “I want $5 billion,” and now you’ve got a Congress that is trying to basically look for the need and our ability to process this within the annual appropriation year. This is not $5 billion for the total cost of the wall; this is just: What would you spend in this fiscal year? We have a job as appropriators, too: Sir, if this is the amount that you’re requesting, then your people give us justification for the difference between $1.6 billion and $5 (billion). I haven’t seen it. I think what you’re going to see is a landing spot somewhere between $5 billion and $1.3 billion, and where eventually that ends up, I can’t tell you. I think that $1.6 (billion) plus some additional resourcing of our additional ports of entry around the country might be a good compromise. At the end of the day, we’ll see.